Go for your perfect match! Much more than just a new design. 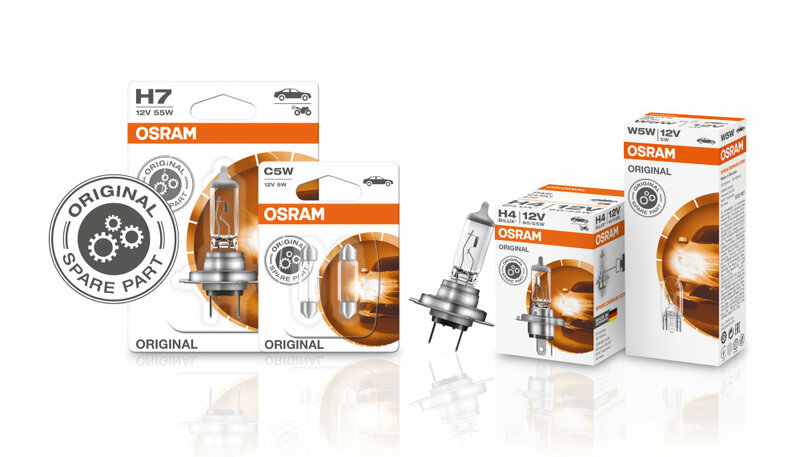 OSRAM is a valued and trusted partner to customers including the world’s foremost automobile manufacturers. With outstanding quality as our foundation and a constantly growing product portfolio, we designed our product packagings now in an even more attractive and recognizable look. Strong brand, strong colors: According to their benefits, the product segments are now easily distinguishable by the new color coding and come in black, green, blue, orange – and red. Choosing the lamp that best meets your needs should now be a piece of cake. 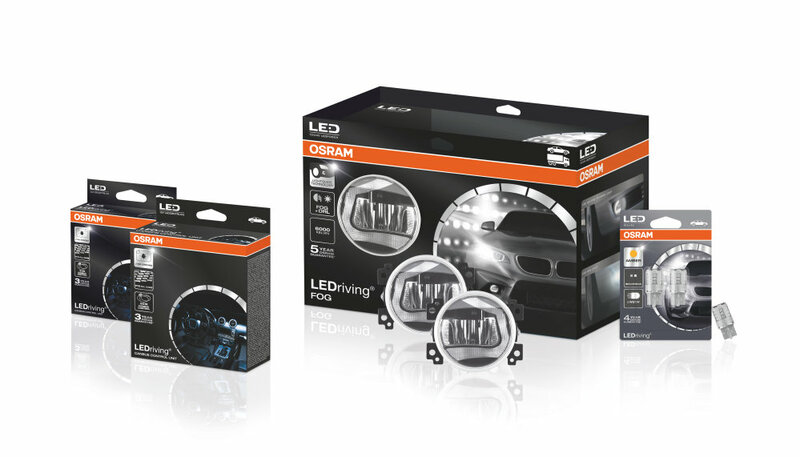 Award for new packaging concept: The 2016 relaunched packaging for the OSRAM automotive aftermarket segment won the silver medal at the internationally renowned European Product Design Award (EPDA). Light is personality - what's your perfect match? There are different types of cars and so are different types of drivers. Reasons for buying vehicle lamps may vary, too. While some are always in search for the latest trends and innovations, other drivers would rather go for optimum performance. For some drivers a stylish look and design of their car is just as important as durabilty for others. Some may just be looking for original spare part quality from a proven brand. 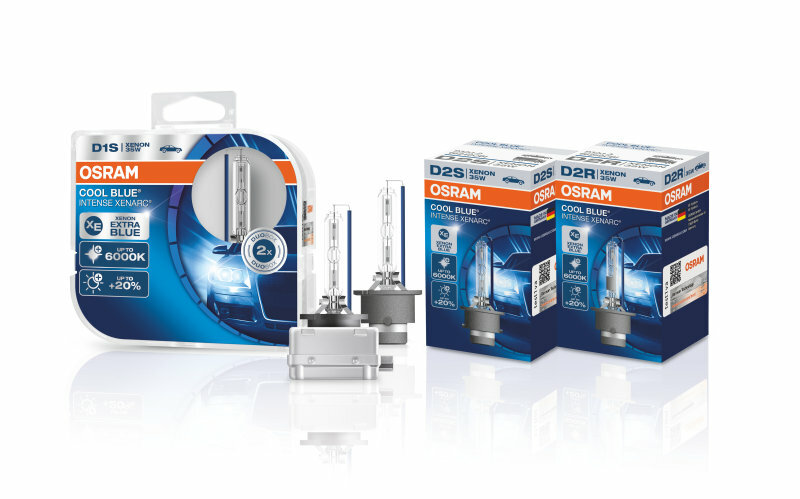 Thanks to the new packaging for OSRAM vehicle lamps, luminaires and LED innovations all these demands and types of drivers are perfectly covered. With its clear, comprehensible color coding system it's just that easy to find the lamps and accessories you've been looking for. Because power counts the most. Your striving for success and the best performance, both privately and professionally? The brightest light and high-end technologies are just good enough? Then our performance lamps with high luminous intensity packed in vibrant red colors are the perfect match for you. Because looks count the most. Your car is more than a hobby for you but a possbility to show your individuality? Quality and looks are not mutually exclusive but complement in an ideal way? 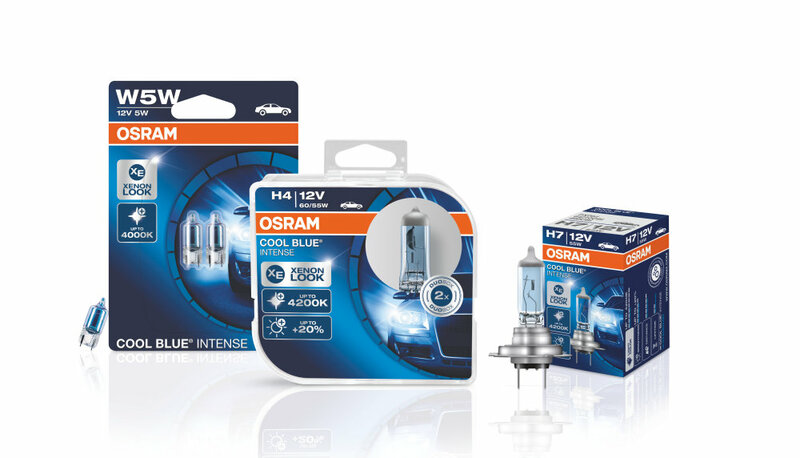 Then OSRAM design lamps packed in blue colors will meet your demands. Because durability counts the most. You care about the environment and the safety of your family on long distance travels always comes first? 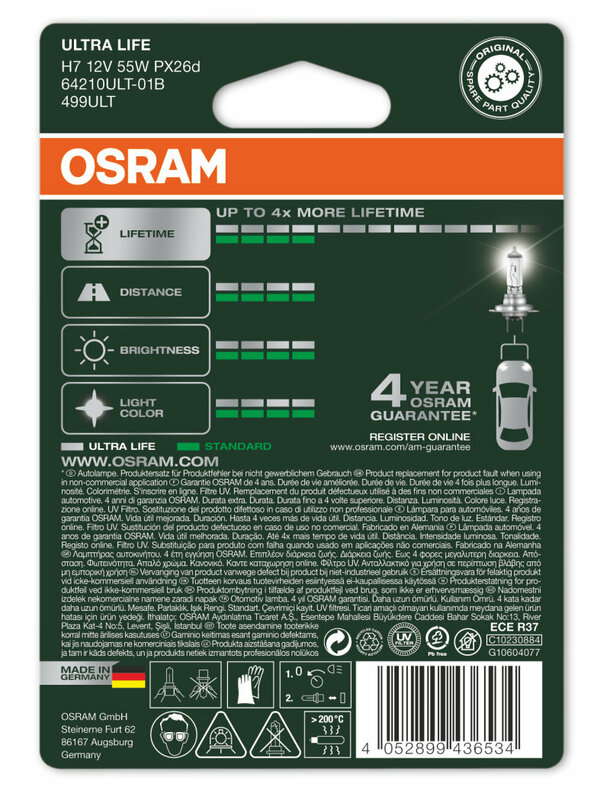 No worries: our durable long-life lamps are now easy to recognize in their new green packaging. Because novelty counts the most. You love to try out new products and technologies? Looking for innovative products and accessories to stay one step ahead is what drives you? Then have a look at our innovative lamps in black packaging. The perfect match when you're looking for "that little bit more"
Because trust counts the most. You want a product you can simply rely on? Extensive searches for alternatives is not your cup of tea and you basically just want a spare part of good quality from a well-known brand? Then our ORIGINAL lamps in the corporate colors orange and white are the right match for you. More light beams and rising speedometer = more performance! Turn night into day. 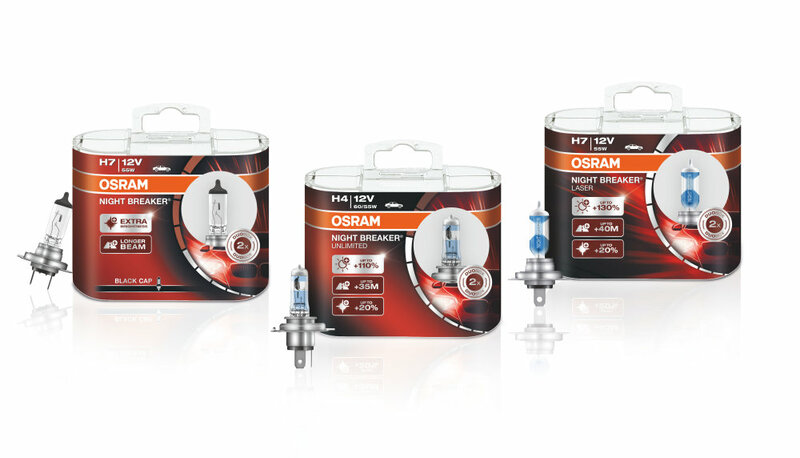 It’s now that easy to find the car lamps with improved lighting performance: packed in vibrant red colors, the halogen performance lamps can be visually differentiated by an increase of the car light in the image and a rising speedometer (more silver colored segments). 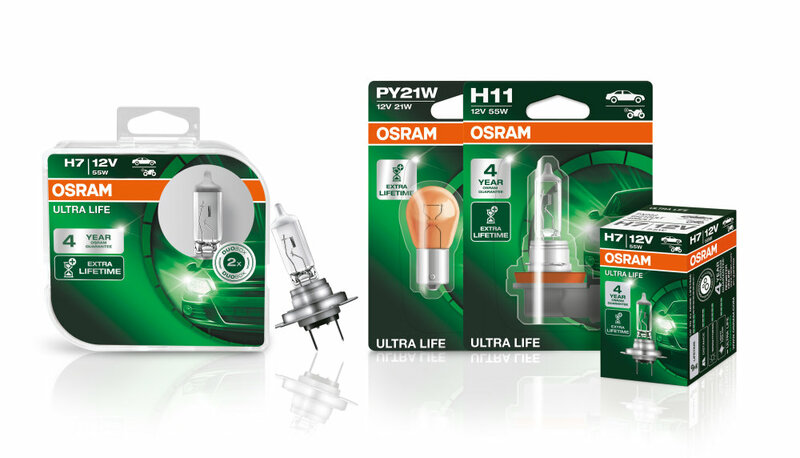 For LED products the color scale of the packaging is also changing. Xenon products are differentiated by having a silver header carrying the most important product information. So whether you are looking for performance, style or other types of our product categories, you can always easily recognize the xenon version by its silver banner on the upper half of the packaging.